Photos donated by Neil Sutcliffe. To see all the photos Neil has contributed to the Archives, click here. 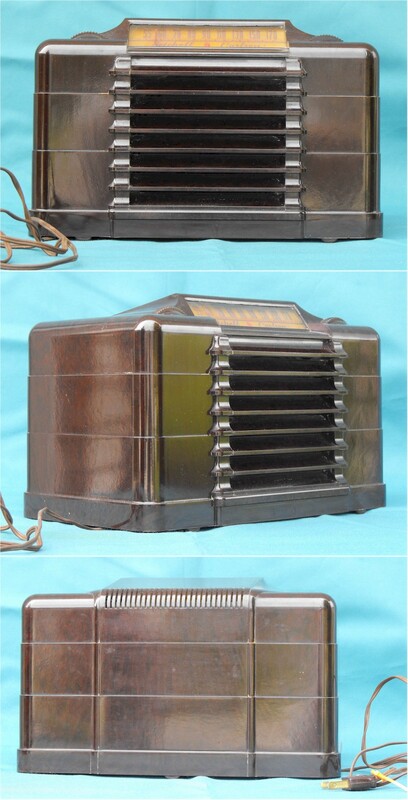 (1947-1950) 32VDC Table Radio made in USA. Superhetrodyne. Broadcast band; 32V DC [Farm]; Unusual bottom access.